Some members of Congress, governors, mayors and over 1,000 political activists have created a group called “No Labels” to mobilize support for efforts to reduce or eliminate the dysfuntionality of the federal government. Led by former Republican Governor Jon Huntsman of Utah and Democratic Senator Joe Manchin of West Virginia, it is working to bring our political leaders and parties together to forge solutions to our nation’s problems. 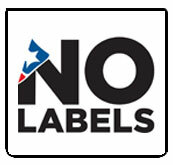 No Labels promotes its politics of problem solving in three ways: by organizing citizens across America, providing a space for legislators who want to solve problems to convene and by pushing for common-sense reforms to make our government work. No Budget, No Pay. If Congress does not timely pass a budget and annual spending bills, then they should not get paid. Up or Down Votes on Presidential Appointments. All presidential nominations should be confirmed or rejected within 90 days of submission to the Senate. Fix the Filibuster. Change the Senate rules to require real filibusters and eliminate them on motions to proceed to consider proposed legislation and other matters. Empower the Sensible Majority. Allow a bipartisan majority to override a leader or committee chair’s refusal to bring a bill to the floor. Make Members Come to Work. Make members work three five-day weeks in Washington per month with one week in their home districts. Question Time for the President. Provide for the President monthly to provide members an opportunity to question the President and to debate their ideas. Fiscal Report to Congress. A non-partisan leader should deliver an annual in-person televised fiscal report to a joint session of Congress to provide one set of facts relevant to fiscal policy. No Outside Pledges. Members of Congress should only take the Oath of Allegiance and the Oath of Office. Monthly Bipartisan Gatherings. Each house should have monthly, off-the-record bipartisan gatherings to discuss current issues. Bipartisan Seating. At all joint sessions or meetings of Congress, every member should sit beside at least one person from the opposing party. Bipartisan Leadership Committee. Congressional party leaders should have a bipartisan committee to meet and discuss legislative agendas and solutions. No Negative Campaigns Against Incumbents. Incumbents should not conduct negative campaigns against other incumbents. The group’s website provides interactive petitions to support these measures. I have signed them and urge you to do the same. Points 2 and 3 of this action plan relate to reforming the Senate’s filibuster rule, which has been discussed in prior posts. On January 22nd the Senate will turn to the filibuster issue. This week three of the Senators pushing for such reform are reiterating their campaign for signing a petition supporting their efforts. In addition, one of groups working for such reform, the Communications Workers of America labor union, is launching a cable television advertising campaign calling on the Senate to eliminate the silent filibuster and implement “common sense” rules reforms. The union also will have interactive online advertising to highlight how the silent filibuster may block issues such as immigration reform, climate change and job creation. These ads will culminate in an online petition for such reform. Meanwhile, Jonathan Bernstein, a political commentator, agrees with me that requiring a talking filibuster will not really solve much. Such a reform, he says, is addressed at improving the transparency and accountability for filibusters. The real problem is that filibusters or the threats of same are used at every possible opportunity, so that 60 votes are needed to do anything, and the talking filibuster proposal does not address that problem. Instead, supermajority voting is the problem that needs to be addressed by reform. Skepticism about the merits of the current proposed reforms of the filibuster rule is also voiced by two former secretaries of the Senate. They argue that the real problem is the increasing inability of the minority party in the body to offer amendments to bills under consideration and their resulting use of the filibuster to protest such exclusion and to prevent consideration of the measures. Instead the former secretaries of the Senate suggest that it adopt a standing order for only this session of the Congress allowing the minority party the opportunity to offer one to three relevant amendments to a bill or other measure. This right would be controlled by the minority leader or his or her designee, with the subject matter of these proposed amendments be disclosed, in writing, as soon as the bill becomes the pending business. After the session is concluded the efficacy of this change could be evaluated before adopting it or something else as a standing rule of the Senate. On Friday, January 11th, Majority Leader Harry Reid reportedly told a Nevada television station that the Senate was unlikely to pass a radical revision of its filibuster rule. Another action plan of No Labels is called Make the Presidency Work that will be the subject of a future post.